4-8-4 4507 at St., Louis, Missouri in September 1946 (Louis A. Marre). NW2 419 (Frisco 259) at Memphis, Tennessee in April 1981 (Lon Coone). 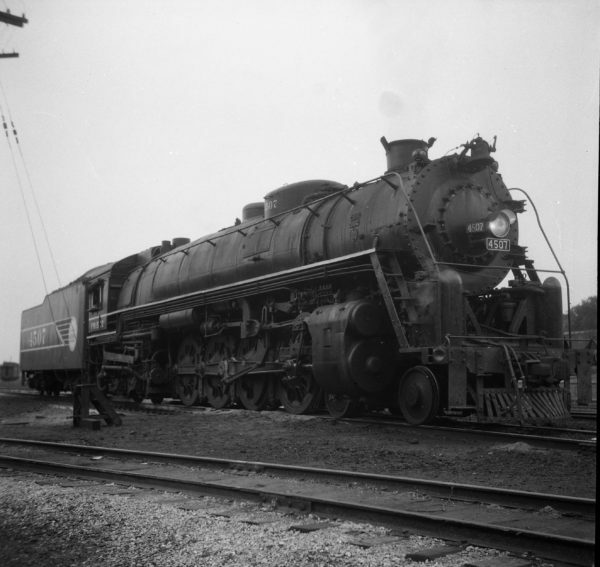 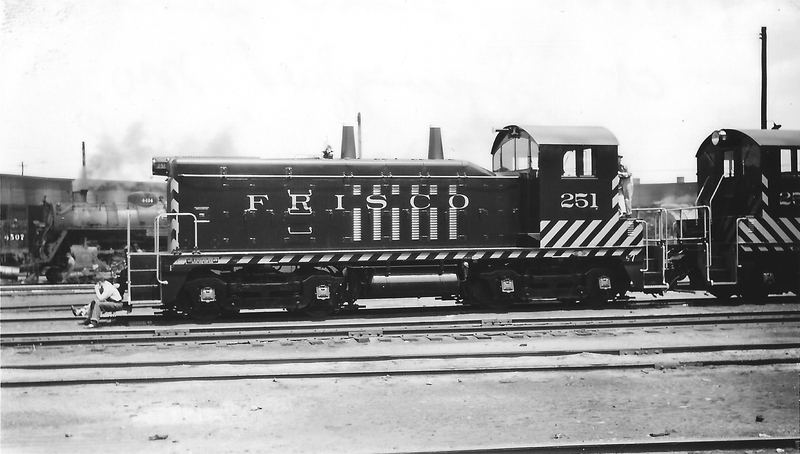 NW2 251 at Springfield, Missouri on May 2, 1948 (Arthur B. Johnson). 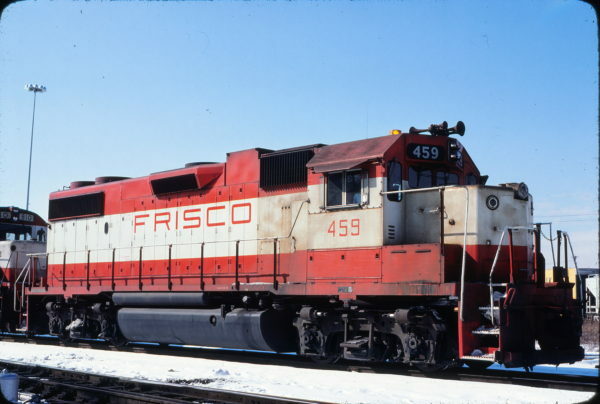 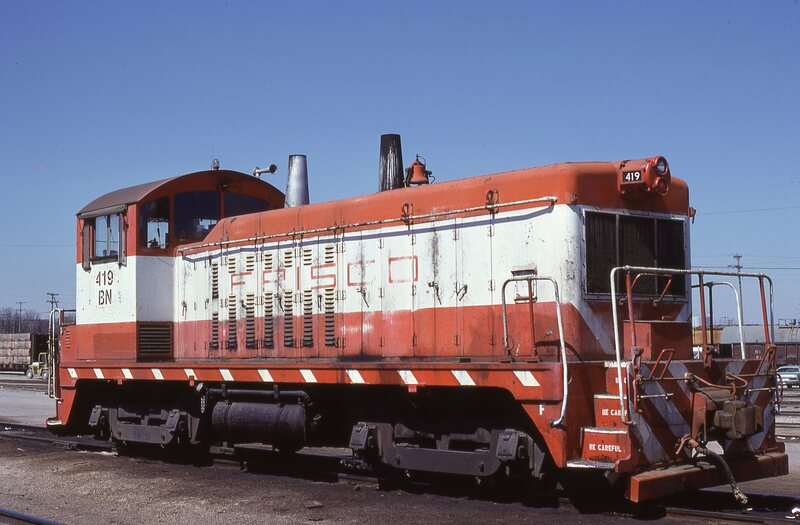 GP38-2 459 at St. Louis, Missouri in February 1979 (Michael Wise).